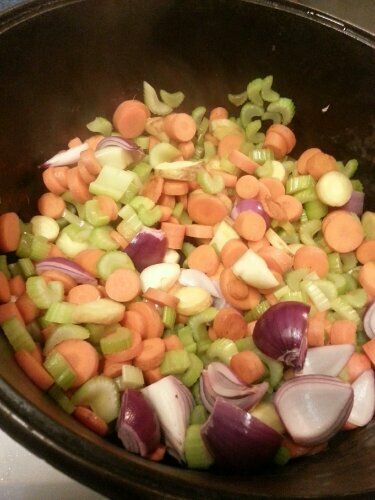 The start of chicken soup. In the fading light of the longest day, I paid my garden a overdue visit. The garlic leaves are just starting to turn. Lonely bees vibrate through the air. My presence disturbs a toad. I found the “dying” sage bush over-taking the sidewalk to have renewed vigor. June, having finished growing her plums has moved her top branches closer to the sun by a good six inches. A baby squash from a volunteer has set and sets to expanding in girth. An earwig is devouring a strawberry – I relieve him of his dessert. Tomatoes are swelling and lime leaves are curling and it is definitely the late start of Texas summer. And here I am weeks later finding this saved as a draft instead of published…so it goes.